بني في 1987, Queenstown Holiday Park & Motels Creeksyde هو ميزة مُضافة لـ كوينز تاون و خيار ذكي للمسافرين. يمكن من هنا للضيوف الاستمتاع بسهولة الوصول إلى كل ما تقدمه هذه المدينة النابضة بالحياة. يشكل هذا الفندق ملاذاَ مريحاً للاسترخاء ويمنح زواره فرصة للاستجمام والتجدد، وهو يقع على بعد خطوات من المعالم السياحية الكثيرة للمدينة كمثل: سوق البحر المتوسط, سوبرماركت فريش تشويس, متجر الخرز. 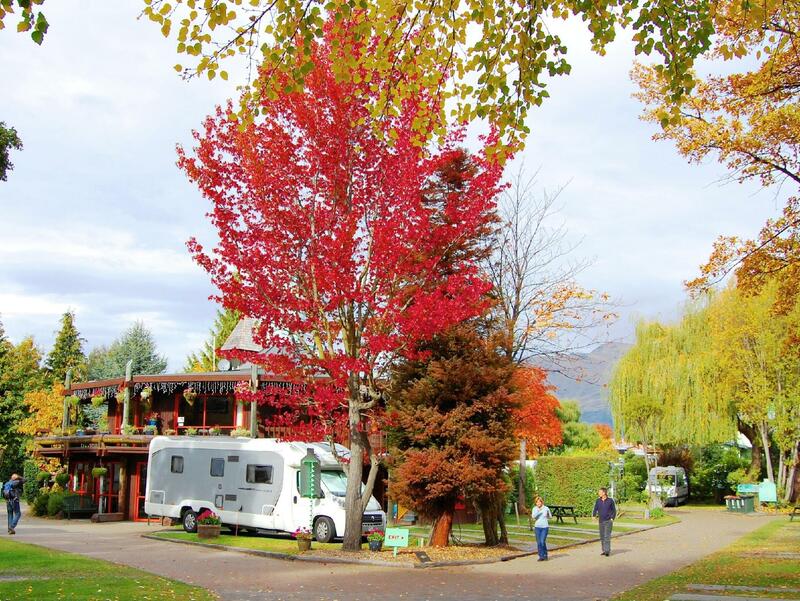 يقدم Queenstown Holiday Park & Motels Creeksyde خدمات لا غبار عليها وكل أشكال اللياقة وحسن الضيافة اللازمة لإسعاد ضيوفه. هذه بعض الخدمات الموجودة في هذا الفندق: تخزين الأمتعة, واي فاي في المناطق العامة, صف السيارات, غرفة عائلية, مرافق للشواء. بالإضافة لهذا,تتضمن كل غرف الضيوف مجموعة واسعة من وسائل الراحة . بعض الغرف توفر حتى تلفزيون بشاشة مسطحة, سجاد, رف للملابس, قهوة فورية مجانية, شاي مجاني لإرضاء أكثر الضيوف تطلباً. إن ساونا هو المكان الأمثل في الفندق للاسترخاء وتفريغ طاقتك بعد نهار طويل. اكتشف مزيجاً ساحراً من الخدمة الاحترافية والخيارات الواسعة من وسائل الراحة والمتعة في Queenstown Holiday Park & Motels Creeksyde. Close to town, well it’s easy walk actually. We had a great little room. Quiet and staff were super friendly. Friendly staff, well sited close to centre, very clean. Be aware that all facilities shared in this level of accomodation. Value for money and convenient place. Just about 10 minutes walk reached the Queenstown business district and F&B area. the room we stay is big to cater for 6 with children. overall is moderate. walking distance to inner city, close to supermarket, recommended. This motel is close to the Skyline with walking distance! There are two supermarkets just beside. Easy walk to downtown for shopping and eating! The facilities of the motel are little bit old but enough! The cleanliness need to be improved as three out of four of us were bitten by some inserts on the bed! It would be appreciated if there is curtain on the bathroom windows as outsiders can see through the window glass! Payed 50 USD for an offseason room for one night. It was terrible. No heat or heated blanket, shared bathroom. The Colonial Village motel that I moved to was way better value for money and enjoyable. Close to supermarket and just a quick walk to downtown. Facilities are really clean and in good condition. Staff were nice and the park had a mellow vibe among fellow campers. Free parking spot with unit - huge bonus when in downtown Queenstown. Cute place to stay, environmentally friendly, electric blanket is provided. Tea, coffee, hot chocs are also available. Old room but clean. Close to many shops and ski rental equipments. the location is great and close to the town and gondola. but there is no heater in room. A good stay for a family. Close to supermarket.